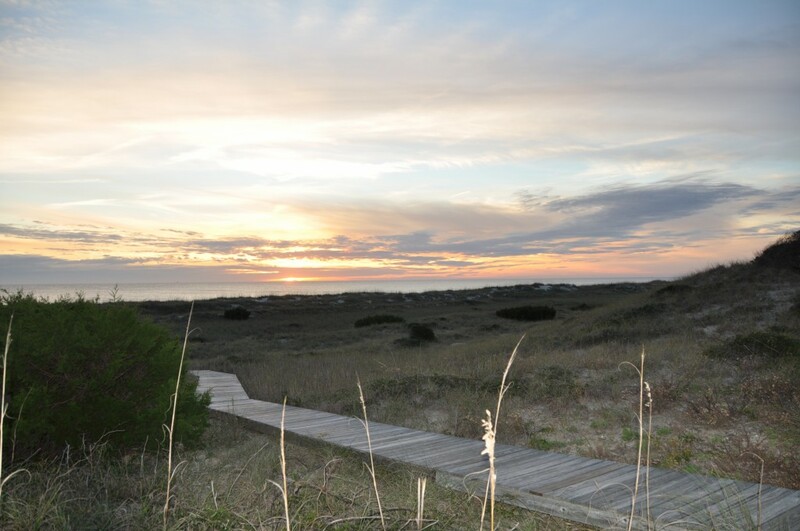 Wendy Wilmot and Andy Sayre are introducing an exciting new map gallery to the Bald Head Island Art Scene. 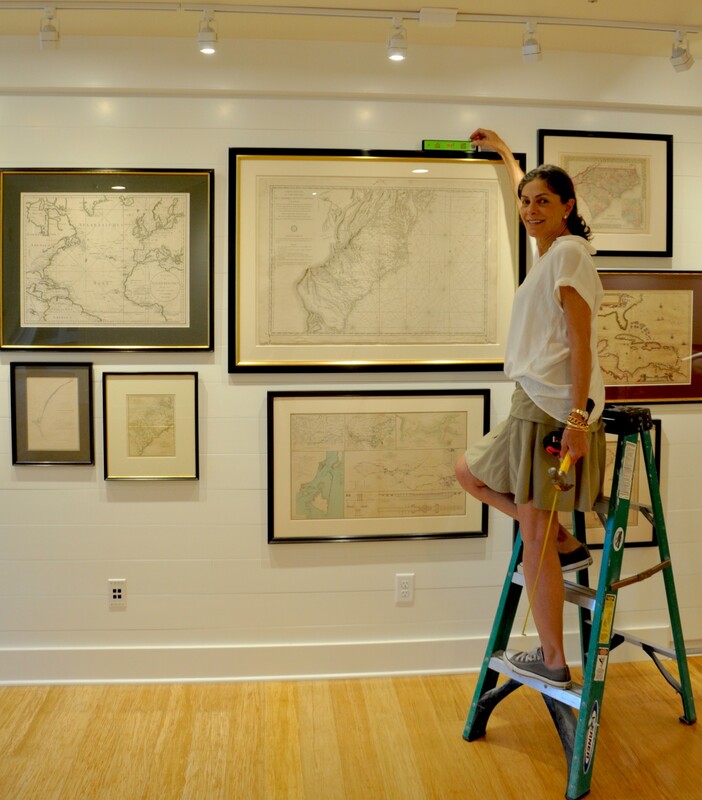 This gallery will feature historic maps of the eastern seaboard with special focus on the coast of the Carolinas. They have assembled an interesting and well curated collection with papers of authenticity and well researched information. The Gallery is adjacent to the Wendy Wilmot Properties Real Estate offices and also next door to All About Art, another attractive eceletic Art Gallery (I have blogged about it often). 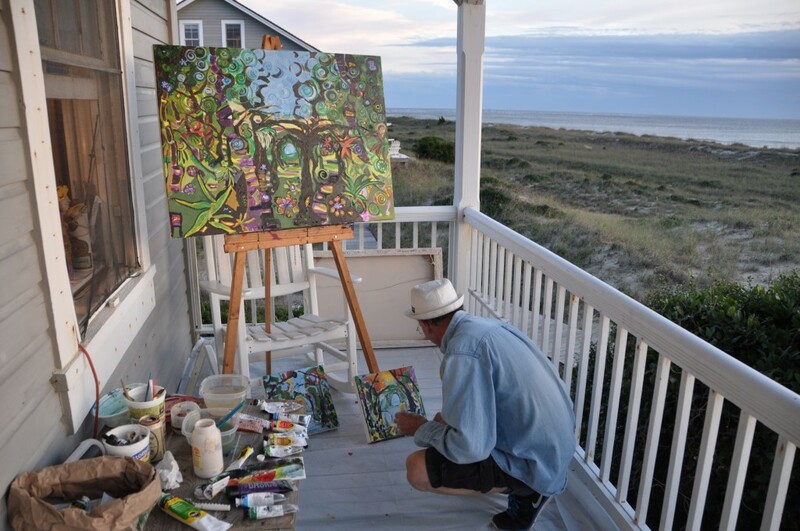 The small Island of Bald Head is establishing itself as an ART destination of much interest along the Coastal Carolinas. 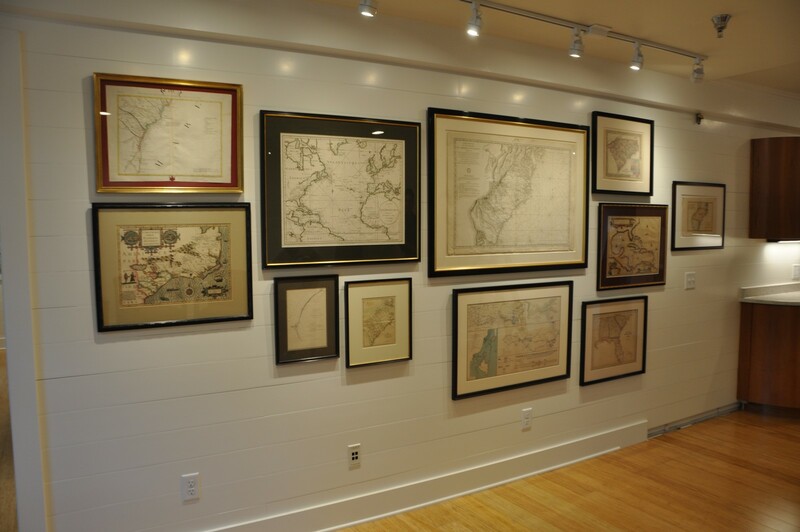 I had the pleasure of arranging the maps in this new space. Stop in and have a look. All About Art Gallery has reopened its doors for another exciting spring and summer season. 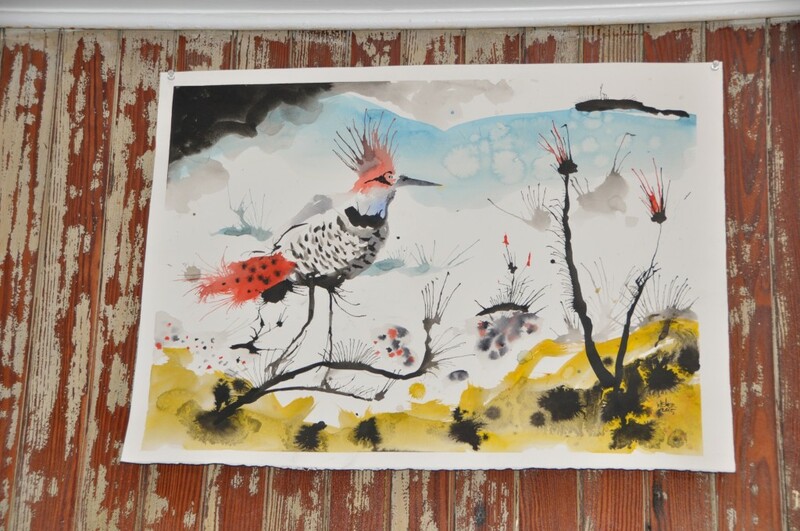 The Gallery continues to offer long list of artists, with varying artistic styles. They have expanded their inventory of gift and craft items as well. 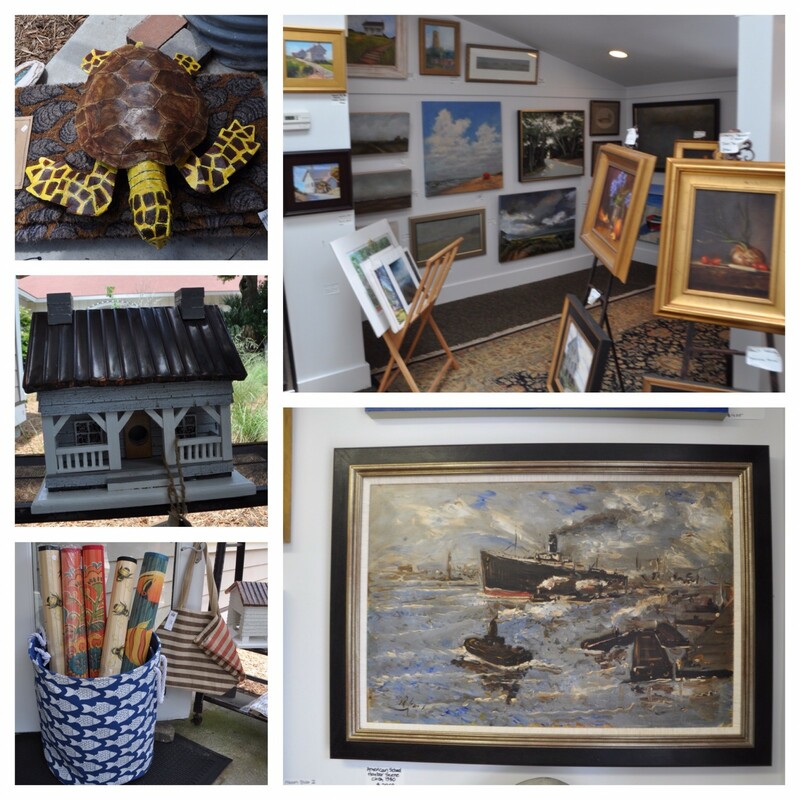 The gallery owners , Joyce and Sue, have a talented eclectic eye and manage to find original and beautiful elements of interior design and wardrobe accessories to enhance the painting offerings. This season they are also introducing a handcrafted line of furniture. Certain to be interesting, beautiful and fun: reflecting the owners attitudes and the store’s vibe. 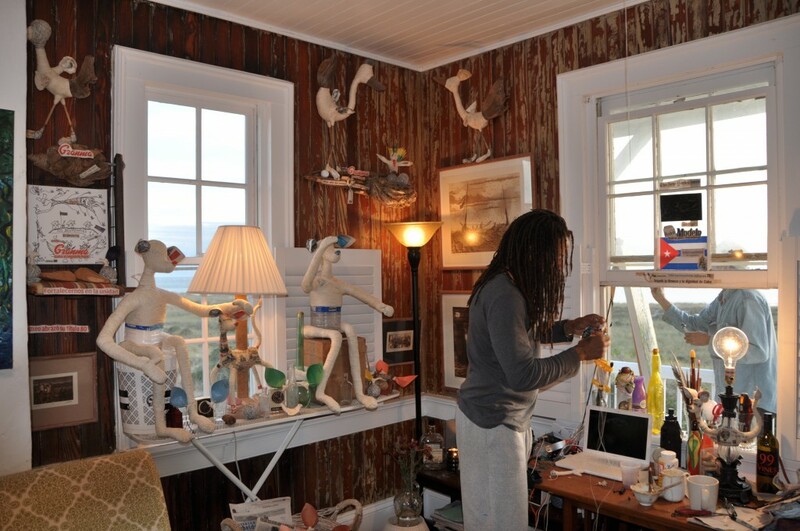 With a huge history of success and international inclusivity, the tiny island of Bald Head opens its doors again hosting the No Boundaries International Art Colony. Artists from all over the globe have participated in this event for 17 years. 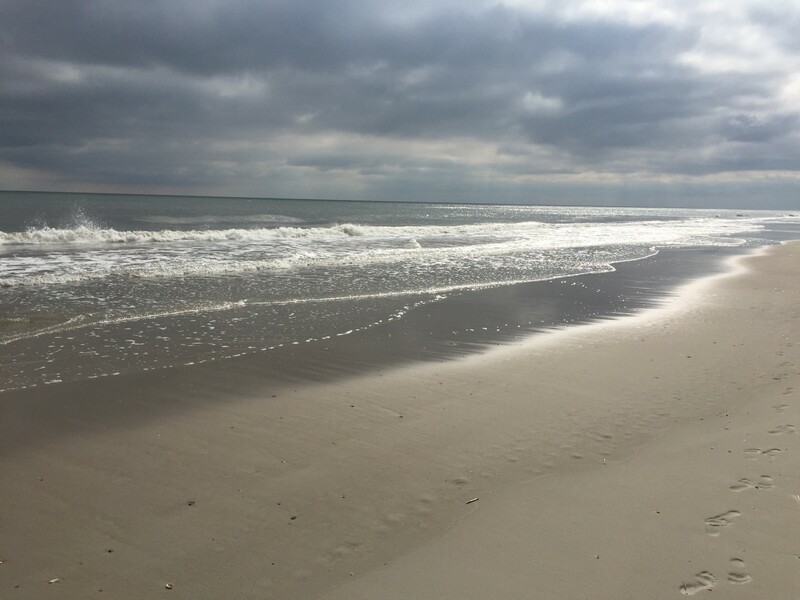 This year several local artists from Wilmington NC are joined by those from Australia, Ghana, Cuba, Georgia and other national and international locations. Some of the artists included in this years colony are Jonathan Summit, Wilmington, NC; Michelle Connolly, Australia; Lazaro Salsita,Cuba; Mark Weber, Wilmington, NC. 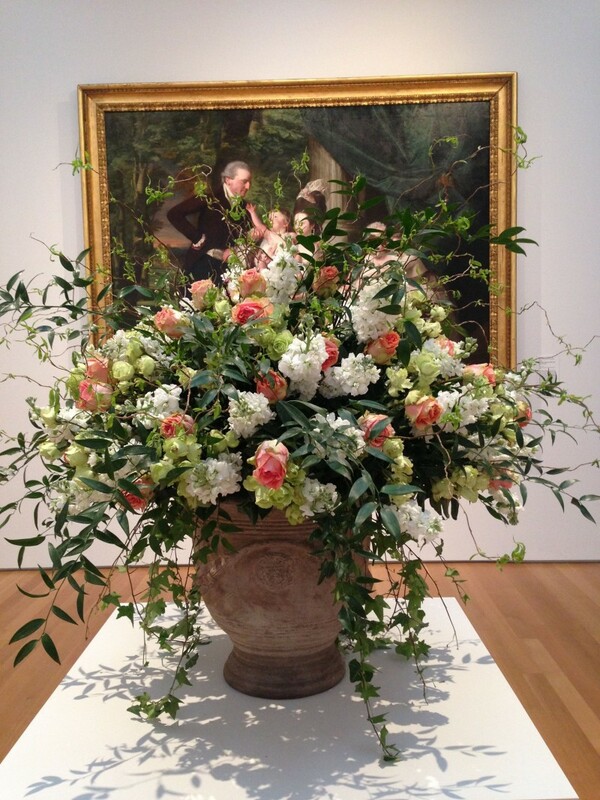 Floral Designers are invited to create a floral display inspired by a designated artwork in the NCMA. 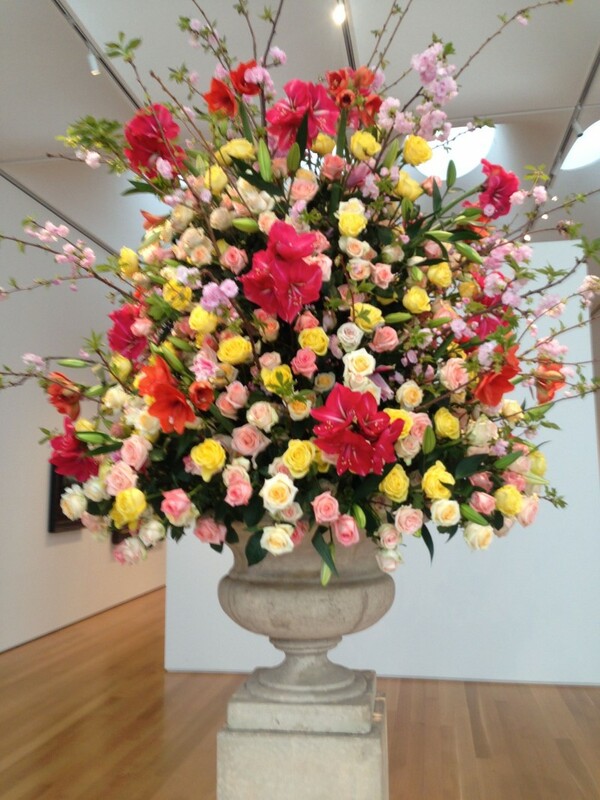 The exhibit is imaginative, beautiful, full of creativity and welcomes springtime. Art and Nature a perfect mix. The exhibit is only on display for 4 days so mark calendars and rush to the museum March 19-22 2015. 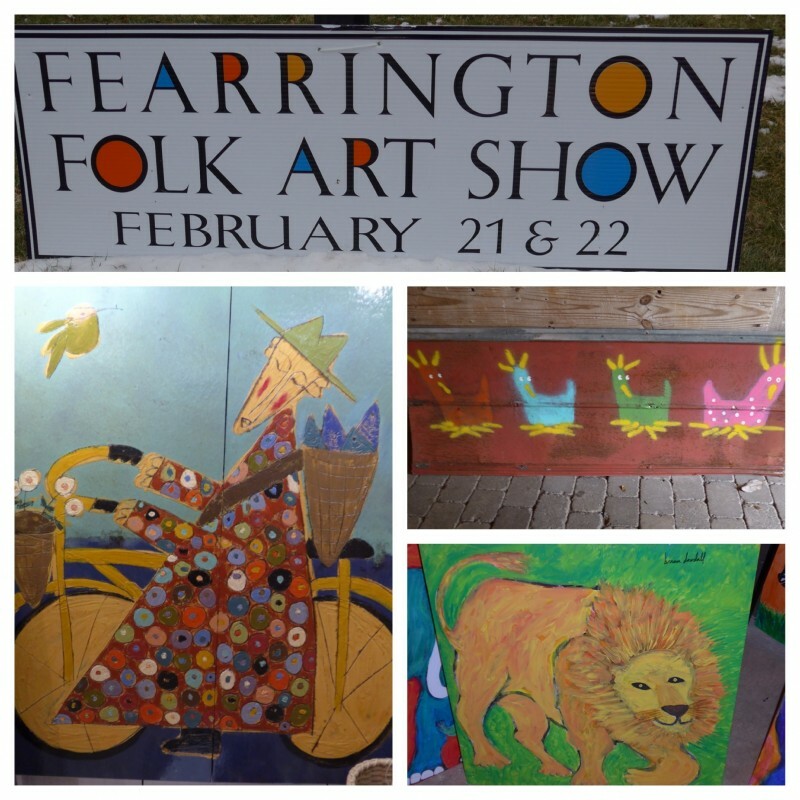 Fearrington Village’s annual Folk Art Show continues to bring in interesting talent. 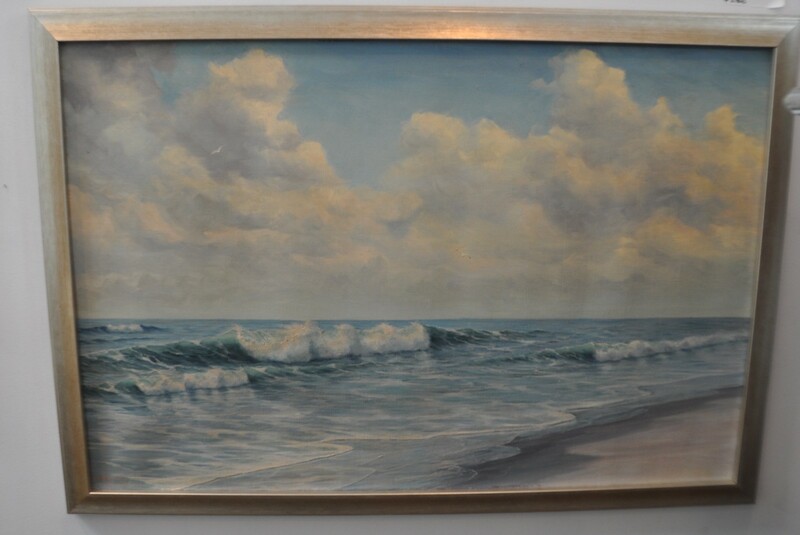 Each year the show highlights many of the South’s most interesting self-taught artists. The list of artists is long. Today I have featured a few that were especially intriguing. Chris Beckart from Dalton Georgia is featured above displaying his sculptural pieces made of old salvaged roofing tin. He has managed to defy the stiff physics of the tin and transformed it into soft appealing fabric like sculptures with sentimental references to his past. Materials used to create Folk art are often inexpensive cast offs. 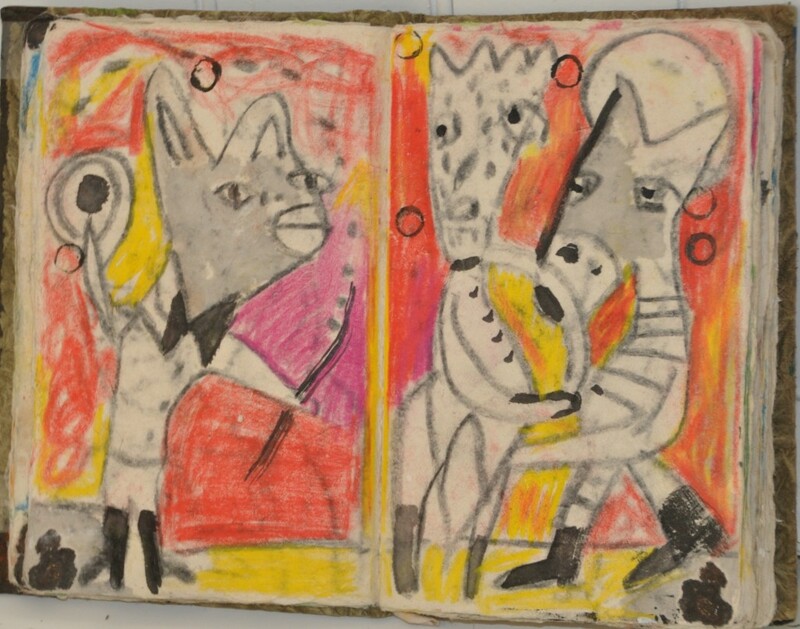 These unusual beginnings add to the appeal of why folk art is loved and appreciated. 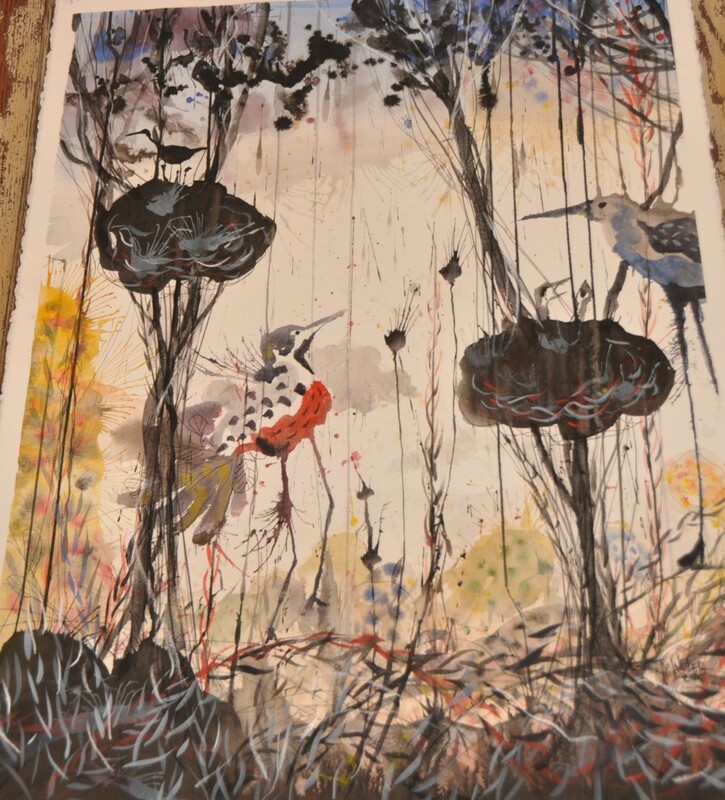 Artist Tres Taylor paints only on Tar Paper. Long rolls of the paper give him unrestricted dimensions to many of his paintings. The textured black cloth affords vibrant color depth. 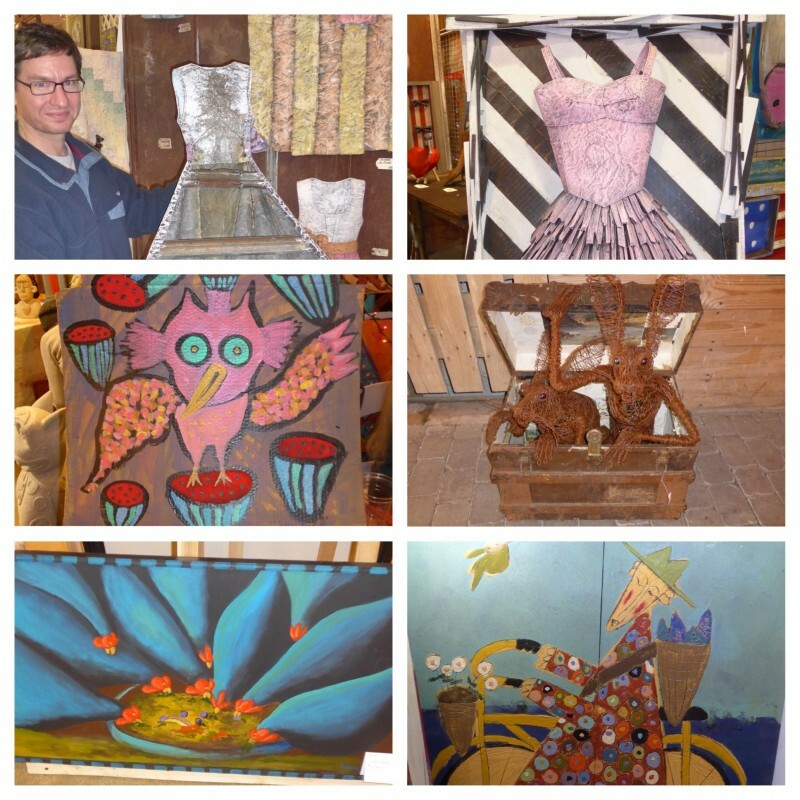 His paintings are rich, compelling and playful. Brian Dowdall, visionary, has transformed animals with enormous mouths that seem like they can jump off their wooden boards and eat you for supper! 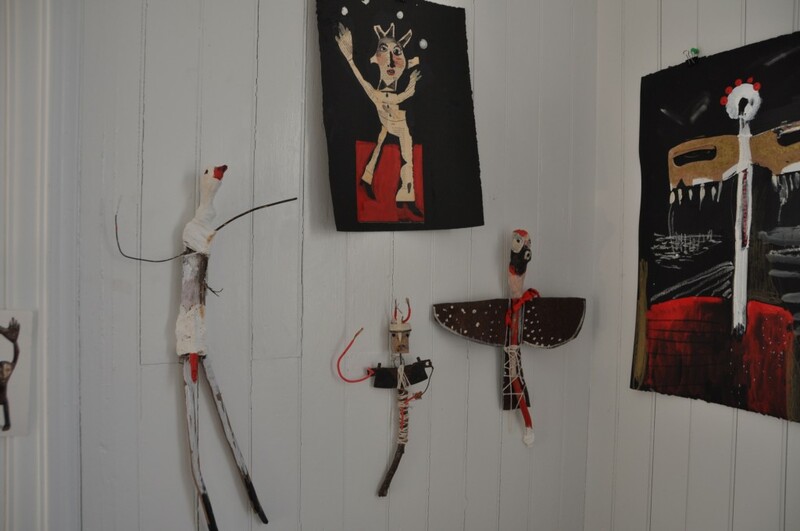 Danny Dougherty also a visionary folk artist, makes farmyard scenes come alive with happy curvaceous forms of figures playing in the fields and barnyards. If you missed the show this year…..be sure to put it on your calendar for next year, same time , same place, same good fun. 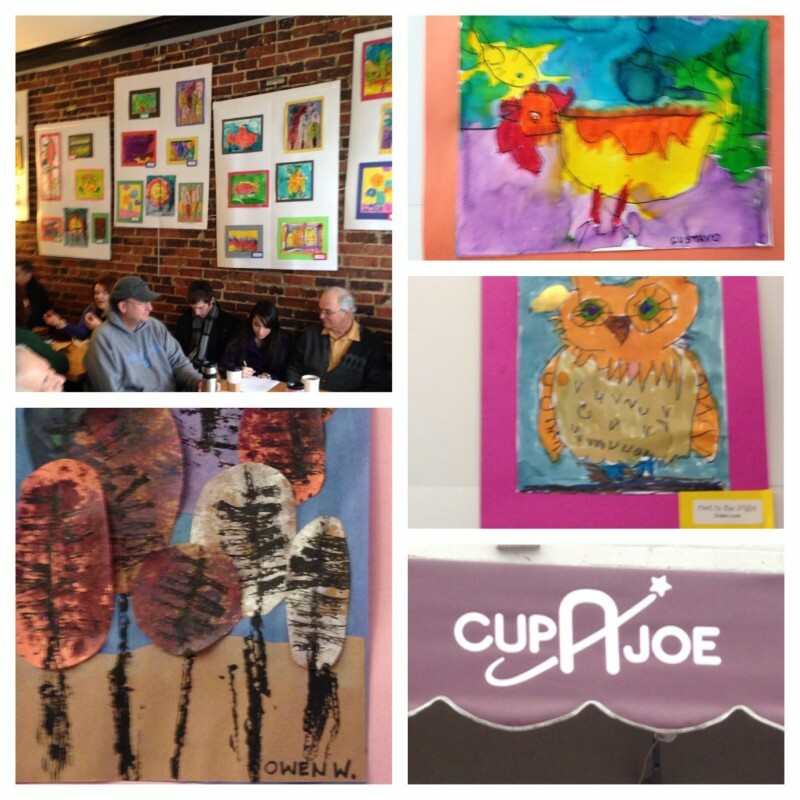 Kudos to Cup o Joe’s coffee shop in Hillsborough for displaying the creative spirit of the children from the Orchard Hill School. The school is an “arts and nature rich school for children ages 4-6. We offer a hands on approach to learning that emphasizes the joy of discovery”. Well the residents of Hillsborough had a “joy of discovery” when they went to purchase their Saturday morning coffees and found the walls covered in these jewels.